Thank you for your service! 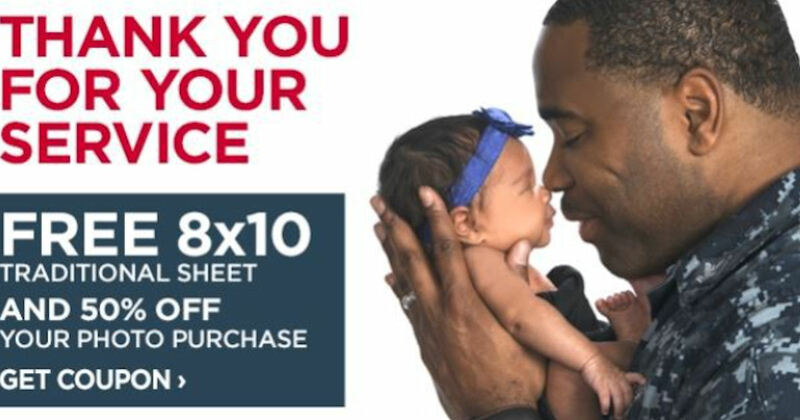 To celebrate military families, JCPenney Portraits is offering a free 8x10 portrait and free sitting fees! Plus, a $99.99 digital album, 50% off your photo purchase plus $3.99 prints when you present your Military ID and the printable coupon on the linked page.